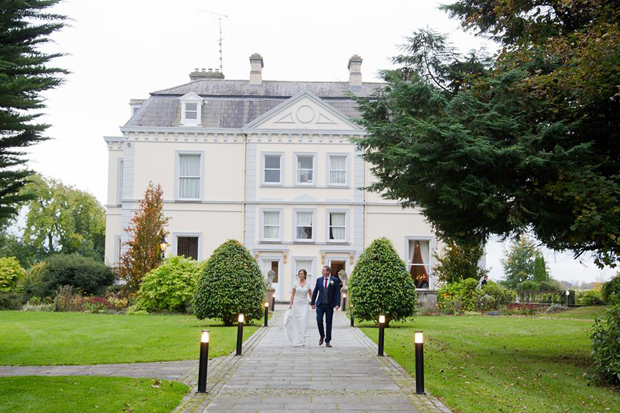 If you’re after a wedding venue with a picturesque countryside setting close to Dublin, Moyvalley Hotel & Ballyna House in Moyvalley, Kildare will tick all your boxes. This beautiful estate is the perfect blend of traditional and contemporary and has not one but two stunning wedding settings for couples. It also caters for civil ceremonies so couples looking to have their entire day in the one place can enjoy a seamless and relaxed day in one fabulous location. With its stunning chandeliers and luxurious furnishings, the estate’s Stone House is the perfect backdrop for your special vows. 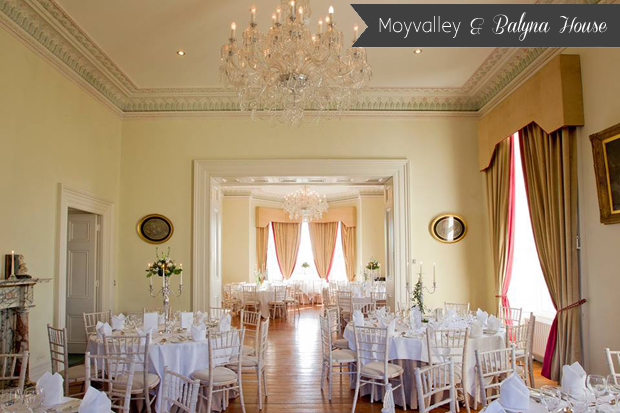 Moyvalley Hotel & Ballyna House cater for weddings both big and small. 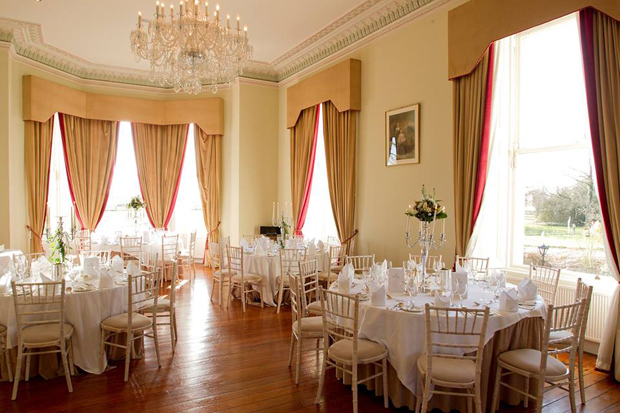 If you’re after a more intimate gathering, the charming Balyna House is a palatial 19th Century Italianate Mansion steeped in old world grandeur, character and charm that can cater for up to 100 guests. Lovingly restored to its original splendor, it boasts gorgeous period features including an ornate staircase and stained glass dome as well as its own private Cellar Bar. Couples and their guests can look forward to total privacy on the Big Day and will have the run of this fairy tale location with sole use of the original dining room, reception rooms, cellar bar and luxurious bedrooms. There is ample accommodation on-site with hotel bedrooms and cottages to choose from so guests won’t have far to travel at the end of the evening and have the luxury of being close by for the entire wedding celebrations. 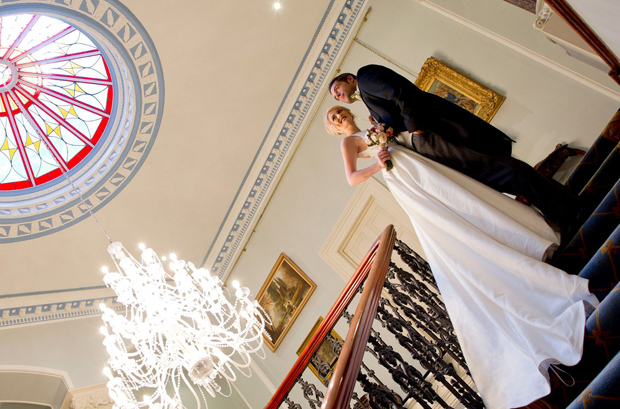 Larger weddings can enjoy the classical elegance and modern luxury of the hotel itself. 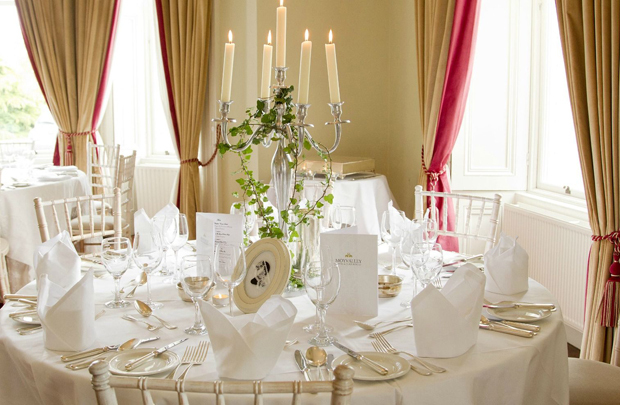 The chic, contemporary Moyvalley Hotel is the perfect venue for larger weddings of up to 250 guests with celebrations taking place in the elegant Royal Canal Suite. 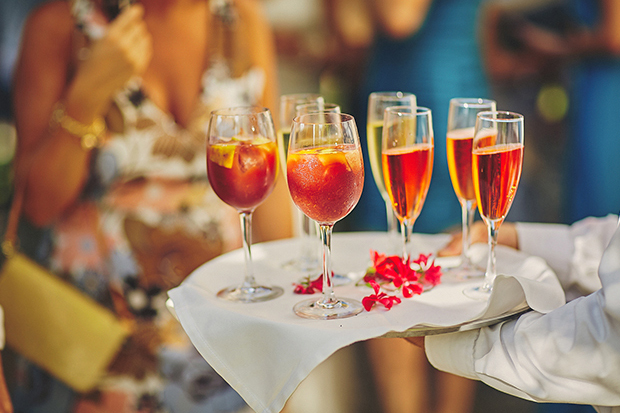 Bigger wedding parties can still enjoy all the idyllic Balyna House has to offer – kick start the celebrations with a fabulous drinks reception so guests can appreciate the period glamour of this beautiful house and those that fancy staying here have the option of booking a bedroom as well. It’s also the ideal spot for a post wedding BBQ if you’re hoping to keep the celebrations going with a two-day affair! The venue has recently been refurbished, having been purchased by new owners in 2014 so you and your guests can look forward to state of the art facilities and a magnificent backdrop for the wedding. The hardworking team at Moyvalley Hotel & Golf Resort pull out all the stops to ensure your day is everything you could dream of, with service that is second to none. Simon Mooney is the General Manager in charge of the whole resort since late 2014. Simon came from Killashee Hotel in Naas. He spent many years in Naas and before that was in the Westbury Hotel. His vision for Moyvalley was to bring it up to the standard of a top class resort specialising in weddings and in 2016 Moyvalley won its first award for “Best Country House Wedding Venue” at RSVP Wedding awards. Simon wants Moyvalley to be one of Ireland’s Leading Wedding destinations without losing that personal touch so he is always on hand to greet every Bride & Groom when they arrive. Moyvalley’s Operations Manager since 2014 is Barry Lynam who came from the Sheraton in Athlone. Barry leads his team by ensuring quality service and exceeding expectations of the wedding couple. Always with a keen eye on customer care, Barry demands the best from his team. Barry is constantly looking at ways to improve the product and experience on offer at Moyvalley. Orla Flanagan is the Wedding & Events Manager for Moyvalley and over the last 2 years has been the face of the hotel to enquiring couples. Orla dedicates herself to the role and has great attention to detail to match her passion for weddings. Orla is a very experienced Sales person with a hospitality and pharmaceutical background. Aisling O’Connor joined the team in late 2016 and is the wedding coordinator. Aisling did event Management in Sligo I.T and has held event sales roles before Moyvalley. Aisling has a real excitement and focus on looking after every couples needs and just loves her job. Karolina Flisinska is the Banqueting Manager who manages the staff on the day of the wedding. Karolina has worked her way up over the past few years in Moyvalley and has earned her title with an attention to detail and loves dealing with each wedding couple as they enjoy the best day of their lives.